This is the video of the Modern Arnis seminar, that I held in Ekaterinburg, Russia in May 2018. Loads of things to learn, also very important little details, for the serious FMA practitioner of any style. The content of the seminar was to perfect some locks and disarms, which are shown in great detail. It was a question and answer session: „You show me yours and I show you my“ version of a technique. as well as Tapi-Tapi medio to corto entry. What if his arm is not straight? What if he does not let go? A must for every serious FMA practitioner of any style. Find day 2 here: Modern Arnis in Ekaterinburg day 2, which covers more details for locks and disarms, an explanation how the brain works when learning movements as well as a sinawali stick/empty hand drill, that also incorporates locks. Dieter Knüttel, M.A. 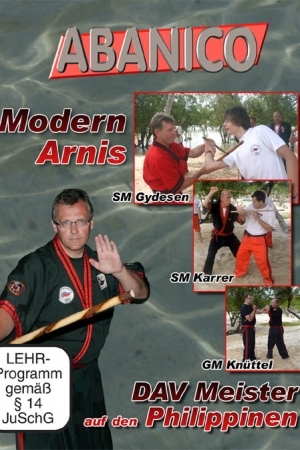 in sports science is Modern Arnis chief-instructor for Germany and European Modern Arnis Representative (1996 -2001) of Professor Remy A. Presas. He received the title of DATU and the rank of Lakan Anim, 6th Dan Modern Arnis from Professor Remy Presas in 1996. In March 2003 he received his 7th Dan and Senior Master status in Modern Arnis in Manila/Philippines from the board of the worlds highest ranking Modern Arnis players: Cristino Vasquez, 9th Dan, Rene Tongson, 8th Dan, Rodel Dagooc, 8th Dan, Jerry de La Cruz, 8th Dan, Victor Sanchez, 8th Dan and Samuel Dulay, 7th Dan. At the 25th of July 2008 he received 8th Dan Modern Arnis and the Grandmaster title from the highest ranking Modern Arnis Masters and Grandmaster of the Philippines. At the 20th of March 2014 he received 9th Dan Modern Arnis from the Modern Arnis Grandmaster of the Philippines in Subic/Philippines during the 7th FMA Festival. 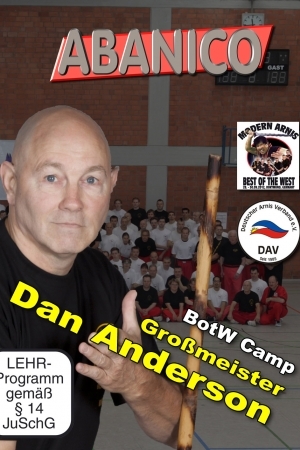 Dieter Knuettel is involved with the Filipino Martial Arts since 1978 and he has been teaching FMA/Modern Arnis seminars since 1980 all over Europe, in Australia, in the USA, in Russia and even in the Philippines. 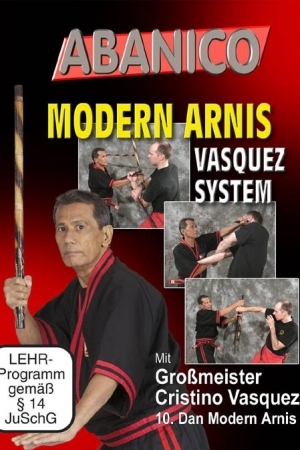 He is one of the most experienced Modern Arnis Masters worldwide.